Brian Johnson has recently conducted interviews with both CNN and SPIN magazine. Discussed topics include the new release ‘AC/DC: Live at River Plate’, and Johnson’s racing lifestyle. 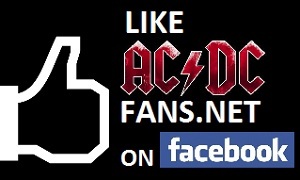 You can view the videos below, and order ‘AC/DC: Live at River Plate’ by clicking here. Don’t forget to discuss this and other AC/DC news in the ACDCfans.net forum!